Acts 21 – Did (Christian) Paul Keep the Law? Based on Paul’s behavior in Acts, it may well be he would have told the Jews to continue keeping the Law. He required Timothy be circumcised (16:3) and he had made a vow while in Corinth (18:18). When he is before the Sanhedrin, Paul claims he has continued to keep the law (23:1). This is curious considering the reputation Paul has for preaching a “Law-Free” gospel among the Gentiles. To what extent he kept the boundary markers of the Law these conservatives Jews would have expected from him. Paul claims to have a “good conscience” in 23:1. The verb Luke uses refers to living as a good citizen (πολιτεύομαι) and is the same work Paul uses in Phil 1:27 for having a “manner of life” worthy of the Gospel. In the Maccabean literature the verb refers to living one’s life in accordance with Jewish traditions (2 Macc 6:1, 11:25; 3 Macc 3:4, 4 Macc 2:8). Paul therefore claims loyalty to the Law while at the same time evangelizing the Gentiles and teaching them they are not under the Law. It is clear from Paul’s letters he does not advocate freedom from Law as a license to sin, but when people heard Paul teaches a law-free Gospel, they appear to have thought the very worst. In order to prove to Paul’s detractors that he is stull loyal to the Law, James proposes Paul prove sponsor a Nazarite vow for a few you men (21:22-25). Dunn rightly observes that James does not deny the rumor: “the advice of James and the elders is carefully calibrated. They do not disown the rumors. Instead they suggest that Paul disprove the rumors by his own action, by showing that he himself still lived in observance of the Law” (Dunn, Acts, 287). The fact that James drops out of the story after Paul’s arrest is a mystery – why does James not come to the aid of Paul? No Christians are willing to defend Paul when he goes before the Sanhedrin. Why is this? It seems as though Paul has less support in Jerusalem in A.D. 58 than we might have expected. Does Paul make a mistake in sponsoring the vow in the Temple? Some people think it would have been unlike Paul to “keep Law” at this point in his career. What is his ultimate motivation for doing this? Does he really need to “prove himself” to be faithful at this late date? Although Paul’s theology at this point did not hold the Law as a necessity for Christian living, I think he indulged aspects of it in order that he might win some unbelievers to Christ (1Cor. 9:22). This would have been received by different people in drastically different ways. The Jews who were skeptical of Christianity would have seen it as a way toward common ground between the Law and the new idea of Grace Paul had taught. On the other hand, however, new Christians, both Jew and Gentile converts, could have been very confused by this. Paul’s heavy emphasis on salvation through Grace and not the Law would have seemed completely contradictory to his indulgence in certain practices such as a Nazarite vow. I don’t see this as a “mistake” per se, but it simultaneously does not seem to fit with Paul’s overall theology. It seems like it was a confusing thing that Paul would follow this and yet preach a different message. Quarles explains that if a person were to take a Nazarite vow they could not come in contact with a dead person or they had to start over. Even going into a gentile house could be a reason that Paul would have to start the process over again since they stepped on gentile land and because gentiles didn’t properly bury their dead, they were now defiled by association with a corpse. Not only this but it appears that Gentiles were not even permitted to take a Nazarite vow (198). This would have further differentiated Paul from the Gentiles as he was going through a purification that seems to be exclusive of those to whom Paul was sent to preach. I think that perhaps this was the reason that James thought this was a good idea since it would isolate Paul from Gentiles for a time and perhaps calm those rumors down. I do not think it was a sin for Paul to participate in this vow. It did not seem to produce the results for which James was hoping. Trent, I agree with what you say here. We know from his letter to the Corinthians that Paul claims to have been all things to all men. He writes that for the weak he was weak, and that he did all these things to win more people for the sake of the gospel. In this section in 1 Corinthians 9, he says twice that though he was free from all and that though he is not under the law, he still became those things to show them more of Christ. I think that there is a lot of value in Paul agreeing to the vow because it shows that he meant it when he wrote that. I also think that this statement made by Trent, “Paul’s heavy emphasis on salvation through Grace and not the Law would have seemed completely contradictory to his indulgence in certain practices such as a Nazarite vow.” had a lot of weight to it. I can definitely see how that could be a thought that people would have, but I think that this could have been an opportunity for Paul to say that it was not his strength that got him through the vow, but his desire to win souls for God and that it was God’s strength that got him through it. Just a thought. That being said, I do not think that Paul was wrong in doing the vow. Paul never states that we are free from the Law of God as Satan would have you believe, rather we are free from the condemnation of the law through the sacrifice of Christ. His taking of the Nazarene vow is to prove to the Jews that the accusations made against him for teaching lawlessness are false. Not that it did much good, almost all denominations today (all that I have looked at and compared to the Truth of Gods Word) teach some form of disobedience, this is evidenced in New Testament warnings of false teachers, Satan’s ministers, wolves among us. By the time Constantine In the year 321 A.D., Constantine decreed, “On the venerable day of the Sun let the magistrates and people residing in cities rest, and let all workshops be closed. Sunday law the beginning of the Roman Church the blending of pagan ideology with Christian principals, The slaughter of Saints, to this day Liquifying blood of the Saints, False Prophecy = False Prophet. Have heaven and earth disappeared? Is the Word of God True? Do you think Jesus or Paul is a Liar? http://119ministries.com/video-teachings I highly recommend this sight I have not studied It completely but thus far (I was brought up baptist and some of there teachings were hard but after trying to disprove) found to be true. Yes, we don’t break the Law, the Law breaks us. We died and though the Law exists it has no authority over us anymore (because we died in Christ). (Gal 2:19, Rom 7:4). And in fact the Gentiles were never under the Law. We were hopeless, without God in this world (Eph 2:12). And in case the Bible was not clear enough, the Temple was destroyed and the Jews dispersed so that it is now impossible to keep the Law as there is no Temple and no Levites. And as we know failing to keep even one point in the Law is the same as breaking it all. (Jam 2:10). Upon reading this blog post It immediately brought my mind to think about Paul’s words in 1 Corinthians 9:22 where Paul boldly sates that he desires to become all things to all men in order to win as many for Christ as he can. Paul’s life is one that is on display for the world to see bth Jews and Gentiles. Paul knew it was important to relate to both sides in order for people to listen to him and not discredit his words completely. Paul didn’t preach that we no longer had to follow the law instead that there was no longer and condemnation of the law because now we had Jesus Christ. Paul takes the Nazarene vow not because he believes it will save him but to be able to relate to those who firmly believed in it. His goal was to be able to catch as many souls for Christ as he could and if this was one way to open the eyes and ears of those listening then he would do it. The life of Paul is one we should be careful not so skip by, instead we should take time to understand why he did what he did while on his missionary journeys. God was leading and directing him and it is so important that we not lose sight of what is truly important. This is being a light and doing what we can to help others come to know Christ as their savior. Great Post Elenrae! I agree with you that Paul preached and related to both messages to benefit and connect with both Jews and Gentiles. 1 Corinthians Paul stated that he wanted to win as many men for Christ that he could. I think by relating to the different groups would allow him to gain trust so that he could preach to them so they could also be followers of Christ. I was interested when seeing the article title of what this was going to be about. I immediately thought of Paul’s writing in his letter to the Romans where he writes “for what the law was powerless to do because it was weakened by the flesh, God did by sending his own son in the likeness of sinful flesh to be a sin offering. And so he condemned sin in the flesh (Romans 8:3). When we think of Paul’s ministry through a mid-Acts dispensational lens, its so clear that so much of Paul’s ministry was to bring forth the Gospel to both Jew and Gentile. Through that teaching we get the concept that following the law is not necessary for salvation but instead it is a result of God’s grace. According to the article, “he would have told the Jews to continue keeping the Law. He required Timothy be circumcised (16:3) and he had made a vow while in Corinth (18:18). When he is before the Sanhedrin, Paul claims he has continued to keep the law (23:1). This is curious considering the reputation Paul has for preaching a “Law-Free” gospel among the Gentiles”. In my opinion, this was done because Paul lived in the culture among the Jews and even keeping those aspects of the Law really doesn’t have anything to do with salvation. I wouldn’t say that Paul made a mistake but instead he just wanted to prove to the Jews that the false accusations made against him for teaching lawlessness are false and don’t reflect his gospel. I agree Troy. While it was no longer required for circumcision or a lot of the traditional laws to take place, Paul did live at a time where it was the culture and practice. I think that there is a difference between following tradition and believing that the tradition saves you. 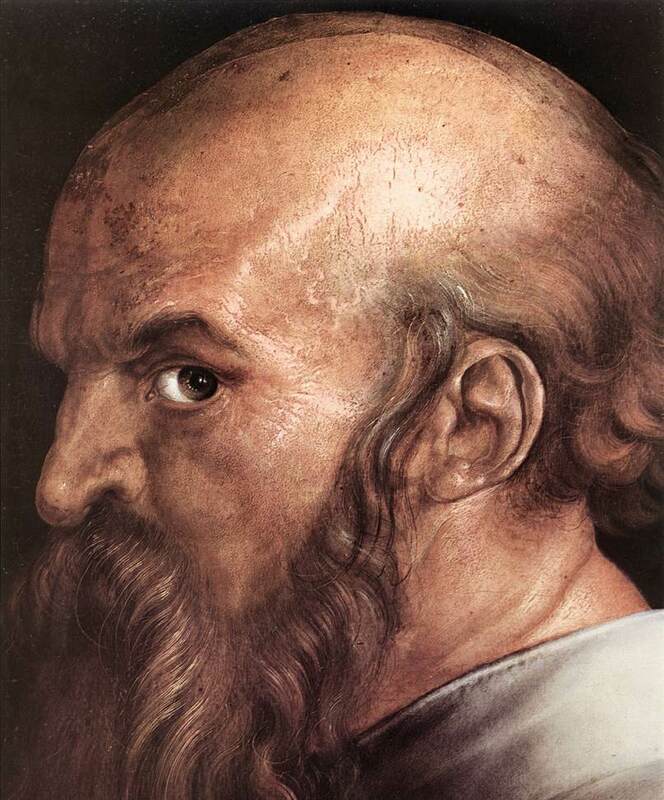 Paul preached a “Law-Free” gospel, but he also encouraged the culture and tradition. The whole point of the law-free gospel is to make the point that the gentiles are accepted in to the plan that God has and not having to abide by the old covenant. Jews are to keep the old ways, but to a point they are to share in the ways of the gentiles to show report and respect when in there homes and the gentiles do the same for the Jews. This was clearly shown in the vision that Peter had in Acts 10. Why is it that Paul is being question for if he is keeping the law? Paul is preaching for both sides and showing that there are specific things that Jews are to apply to their faith walk and things that he Gentiles are meant to true to. I don’t think that Paul should be questioned at all by if he is obeying the law. Through sponsoring a vow within the temple Paul is trying to show people that he is very similar to them, he knows where they are coming from. He is appealing to their ways, he is doing the respectful thing in this case. Elenrae mentioned 1 Corinthians 9:22 and I think this is Pauls response to keeping the law. The verse says he will become all things to all people in order to grow the Kingdom. Paul is doing things that are respectful to the people he is inviting into a new way of life. Sometimes it takes someone empathizing with you in order for them to see that a change needs to or can be made. I know that a lot of people have quotes Paul’s way of ministry of becoming all things to all people, and I think that is the most important part of understanding why Paul did this. I think that Paul sponsored the Nazarite vow so that he could some what keep the peace, not because he didn’t believe in what he was preaching. He told of a law-free Gospel, and that is still true even thought he went through with this. A level of respect was kept between Paul and these people now because he did this and I think that is important to note. The book of Acts could have been re-named the journey of Paul and I think everyone would be okay with that. Paul several times claims that he is loyal to the law throughout scripture, does this make him a good keeper of the law though? In Acts, Paul is teaching, preaching, and doing all of these good works but sometimes there are things that he does that seem odd or out of character. The Article points out several instances as to where Paul makes vows, or “continues to keep the law. But how can you keep the law, and then serve God and keep the commandments? We can read in scripture that Paul preached on “Law-Free gospel” but I think that the way Paul had acted in Acts is a good representation that he wants to reach the people of the time, he wanted to at least still respect in some ways the traditions of the people while teaching them new ways. Basically he wanted to know the culture enough to gain respect from the people. In Acts 21, we see many rumors speculate against Paul. Rumors about him preaching a “law-free” gospel in the way they acted and lived. One of these things being to not circumcise a child, which is a tradition and law for Jews. In hopes of restoring peace, he agreed to take and fulfill the vow. When Paul is questioned about how he feels about the boundaries Jews expected for him, he noted that he had a good conscience. I wonder if this would also resonate with not making your brother stumble. Paul was not trying to hurt his brothers and sister, he did not want to sugar-coat the truth, rather, he wanted to speak truth into their lives. I do not think Paul made a mistake, yes these people were unfaithful, but Paul needed to take a step further in showing how much he cared and was passionate about what he believed. This was not a matter of proving himself to them, but of showing his loyalty to them and being an example through this situation. Dunn writes about it as showing the truth in actions as an observance to the Law. Paul wanted them to know that he was not above the law or the people. They were all sinners in need of God’s grace. His ultimate motivation is to serve God and do what it takes to further his kingdom. Yes, keeping this Nazareth vow would be a bit tricky, and contradicting to what he was teaching, but it was an encouragement to others here. This story does hold some interesting facts and details. Why would a Christian Paul feel the need to keep the law in such a dramatic as to take a Nazarite vow? Was this a contradiction to what he himself had been teaching? How does this story fit into the rest of the narrative? I would suggest that Paul takes this vow to show that he still believes the law is good. He is willing to follow the law because it sets good boundaries for someone’s life, and it is not like he was going around telling people to avoid the law so they could go about sinning (Long). He was offering a law-free salvation, because salvation is a no strings attached relationship with God. He was making that clear to the Gentiles, but it was not settling well with the Jews (Acts 21:27). His participation in the vow was a display that he still valued the law, but it seems that was not enough for the Jewish people. Furthermore, it seems that his taking of the vow may have pushed some Gentiles away. It does seem confusing that he would participate in the law, openly, while not pushing others to follow it. However, what seems to be missed with this story, is that Paul was ultimately loyal to the Messiah, not to the Jews (Jipp 116). He followed God and His Law, because of Jesus and the way He was a fulfillment of the Law (Matthew 5:17). Some of Paul’s actions may seem to be confusing, but in reality, he was attempting to reach everyone with the message of a Savior. He did it in radical ways, such as following the law, but not preaching it as the only way to God. He sat in a strange place between the Jews and the Gentiles in order to reach them both with the Good News. Paul’s dynamic of “keeping the Law” and preaching it does not matter anymore, has always been a topic of interest. In fact, it is confusing at times. Paul rebukes Peter publicly for initially eating with the Gentiles and then doing away with them to appease the Jewish crowd (Gal. 2:11-16). Peter was a Jew, who lived like a Gentile but was teaching by example that if you were a Gentile you had to conform to the Jewish customs. This is not the dynamic Paul promoted, rather he wanted the Jews to realize that faith in Christ was the only thing that justified them, no tradition, custom or work would make them more acceptable to God. The Gentile audience is not all that familiar with Jewish customs so how can they be expected to convert to Judaism and Christianity at the same time? It is my belief that Paul was very aware of and respectful of other’s consciences (Rom. 14, 1 Cor. 8). He himself made it known to his audience that he has lived before God with a clean conscience. Polhill states, “The implication is that he had nothing on his own mind to condemn him, that he had been faithful in his conduct toward God in every respect (Polhill. Acts p. 468). That is an interesting way to put it, for nothing in his mind to condemn means he has not sinned or operated in a law mindset. Paul says that there is no condemnation for those in Christ, so if you are in Christ how can one be condemned? (Rom. 8:1). For Jews, they were condemned when they broke a law or ritual, for Gentiles they would have been under the impression that you had to abide in Jewish Law before converting to Christianity. In addition, the Gentiles were condemned by the Jewish crowd if they did have faith in Christ and did not practice circumcision or other Jewish customs. In Acts 15, the Pharisee sect has a problem with Gentiles converting void of circumcision and Peter goes on to say that God knows people’s hearts, and accepts Gentiles by giving them the Holy Spirit, making no distinction between them and Jews because God has cleansed their hearts through faith (15:8-9). Afterwards, James makes the point that they should not make it difficult for Gentiles who are turning to God, instead tell them they are to abstain from food offered to idols, sexual immorality, strangled meat and consuming blood (Acts 15:19-20). Why did James conclude this? Because it was according to this Gentile audience’s conscience. If they were to go against their conscience it would be sin for them (Rom. 14:23). Paul makes mention of this in verse 25 of Acts 21, specifically that they should continue to do what they were instructed in chapter 15. Paul seemingly keeps the Law because, though he knows it does not add to his salvation or maintain it, he grew up with that where it communicated honor and integrity to God and those who practice it. Paul is not trying to be a law-abiding citizen necessarily, but he knows that faith fulfills the Law (Rom. 3:31). Therefore, he is a “Law abiding” citizen by faith in Christ. Lastly, for Paul to say his conscience was clean then that also means you can have a seared or dead conscience as well. Paul tells Timothy that in the last days people will stray from the truth and be deceived by evil spirits. These people Paul’s says are “hypocrites and liars, and their consciences are dead” (1 Tim. 4:1-2). Therefore, we can conclude that Paul always remained in faith and therefore “in Christ”. To stray away from this kind of faith would mean that you were searing your conscience and becoming deceived and okay with evil. Paul was just concerned bout people’s state of conscience and ministered effectively in that way. Much like other Jewish Christians, it is realistic to expect that Paul would have maintained some sort of obedience to the Law simply because it was his whole life leading up to his conversion. It is like the example given in class, when students are under specific rules for four years when that ban is suddenly lifted they will either maintain some of those living standards or go off the deep end and live ‘recklessly’ simply because they can. The Jerusalem Jewish leaders accepted, praised, and supported the work Paul was doing among the Gentiles, which speaks to his status as a faithful Jew (Jipp 114). Even though Paul knew there was no need to follow the Law because of the grace given by Christ, he still chose to appease the Jews by participating in certain practices to show his allegiance to the Law (Timothy circumcised, Nazarite vow). This reminds me of Romans 14:13 where Paul seems to be directly talking about people who are faithful to the Law despite their belief and confession in Christ. Ultimately, Paul is faithful to Judaism through his allegiance to the Messiah, which is shown by his inclusion and ministry to the Gentiles. As Nat states, Paul chooses to act like a Jew in practice as a part of who he one was not out of necessity but as a discipline of mind, heart, and spirit to what he sees as being close to God. Paul’s actions are don’t disprove his love and loyalty to God or the church. Paul’s standards were of grace and the law as a way to continue strengthening and focusing on God. Paul’s keeps the laws as a symbol that reflects where he has been and brings elements of it into his ministry. James test Paul in what he holds higher Paul chooses to practice the law not be controlled by it. In the same manner that reflects into the world, we are living in today. If we being to idolize theology or the law over the grace of God we become a modern today Pharisee of the Christian faith. We have to find a balance of grace and practice of the law as a heart issue. I would say that Paul did not really have a reason to totally stop practicing the Law. We see this play out whenever he is around his Jewish brothers. An example would be in Acts 25 when he says that he has never made an offense to the law. He was raised Jewish and spent his whole life following the boundary markers that Jews practice. Something we talked about in class was that the Jews did not actually find the Law to be a heavy yoke. They saw it as an outworking of their relationship with God, and it was probably pretty easy to stay in those boundary markers when around a community of Jews. Paul says to the Jews he was like a jew and to the Greeks like a Greek (1Corinthians 9:20). However, Paul says that it is an unnecessary yoke on the shoulders of the Gentiles (Act 15:10). I think the confusion comes in when he explains to the Gentiles that they do not need to become Jewish when they start following Christ. Because Paul is Jewish and has the knowledge and ability to follow the law, doing things like the Nazarite vow would make sense. But only in the presence of those who understand its purpose. And considering this passage in chapter 21, it sounds like the Jews themselves are misusing this vow as a means for Paul to “prove” himself to them. This seems an inappropriate use of the vow, but Paul seems to humor them for their own sake by doing it. I think what Paul is doing by keeping the law is keeping himself able to teach the Jews the Gospel. He’s “becoming a Jew in order to win the Jews” (1 Cor. 9:20) by this logic. By keeping himself under the law, he is trying to reach those who aren’t saved and keeping themselves under the law. Because keeping the Jewish Law is how those before Christ were to live, it’s not a sin to practice the values of the Law. 2 Timothy 3:16 states that “all scripture is breathed out by God,” which includes the OT. Old Testament Law is not suddenly a sin just because it is unnecessary. Oppositely, the Gentiles never had the Law, therefore it wouldn’t be practical to suddenly make them keep the Law, whereas the Jews have lived by the Law for a long time and it was all they knew. It’s understandable why they would think that Paul is trying to profane the Law by preaching that it isn’t needed, but by Paul keeping the Law, he is trying to respect the Jews in order to effectively preach to them. The Gentiles only needed faith in Christ and the Holy Spirit to be saved, they didn’t need to keep the Law since it wouldn’t save them. The Law can’t save the Jews either, since it’s impossible for them to keep, but it’s not surprising that they would feel that they need to continue to keep it, even if they are saved. Paul didn’t take the Nazarite vow to prove a point of his faithfulness, but rather to show that the claims against him were wrong. So I think that Paul did keep the law, especially having been a Pharisee, but also fully understood the need to be saved by Grace.